Educators from around the globe converged at the American International Industries (AII) campus in Los Angeles in January to brush up on new products and technical skills as well as have a chance to hobnob with their peers. 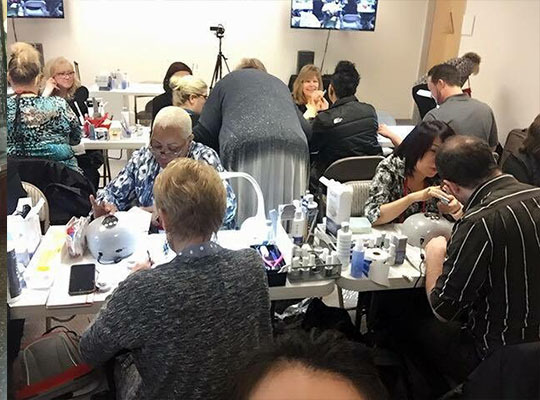 The four-day Nail Revolution event pushed educators to reach beyond their comfort zones engaging them in interactive experiences, hands-on learning and nail art classes. The team of techs who visited from countries including Russia, Thailand, Paraguay, Italy and Mexico as well as all over the USA were encouraged to tap into their creative spirits in order to connect with their presentation skills and technical expertise. 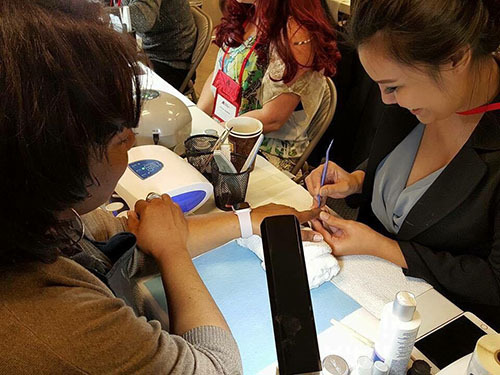 The final day included certification testing and a nail art competition judged by 2015 NailPro Cup Champion Allie Bakker, global EzFlow Educator Lulu Desfassiaux (visiting from Mexico), global IBD Educator Brenda Skermont and Nail Pro’s own executive editor Stephanie Yaggy Lawery. While there was practically a collective sigh of relief after the last set of nails were judged, there was also a feeling a pride among the educators that could be feit by a all.